and the consolidation of McDonald’s,” Little says. “Nic is such a wonderful person. She is sharp as a tack but one of the most down to earth people I know. This is a very popular appointment across our Group in Australia. “DDB Sydney is a big agency by Australian standards but has the culture of a much smaller one. Much of that is down to Nic’s leadership." Taylor has spent her career in advertising, also holding roles at Y&R and BWM. 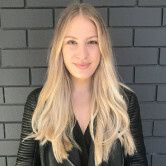 “I firmly believe having a diverse and inclusive agency culture creates better work and business success, which is why I’ve made it such a focus at DDB Sydney,” Taylor says. “DDB’s people, in addition to being ‘talented and nice’ as Bill Bernbach said, really are the difference. I love working with such exceptional people, and I’m excited for DDB Sydney’s future." DDB is "working through" if the agency will fill the now empty managing director role. Earlier this year, DDB dropped $1 million on its new positioning, introducing the tagline: 'Creating Unreasonable Growth'. 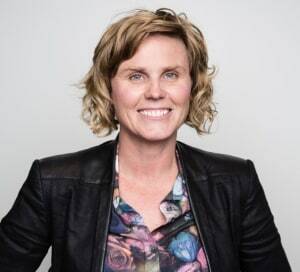 Nicole Taylor has been promoted to the newly-created role of CEO of DDB Sydney after three years in the managing director role. Taylor has been at DDB Sydney since 2011, working her way up from managing partner. DDB Group Australia CEO Andrew Little says her promotion is reflective of her impact on new business and existing clients. “Nic has led the Sydney DDB team to fantastic growth this year with big wins like Virgin Australia and the consolidation of McDonald’s,” Little says.